If you are a developer working at Uber these days, there’s a good chance that your friends are haranguing you to quit the company — publicly on Twitter, privately on Facebook, or whenever you talk to them. People in Silicon Valley can’t stop talking about the “toxic culture” at Uber after a former female engineer, Susan Fowler, came forward. She published a blog post a couple of weeks ago alleging that she was sexually harassed and that when she reported the situation, HR penalised her. 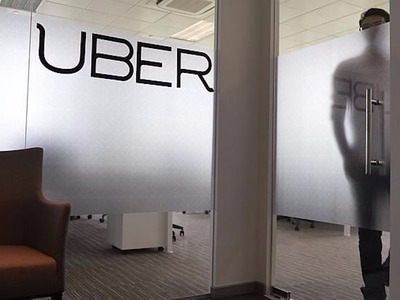 After Fowler came forward, Uber launched an investigation run by Eric Holder into its workplace. That team is getting plenty of fodder to investigate. Since then, two more stories of alleged sexual harassment at Uber have surfaced. One was from someone who did not disclose her name, but described details about herself, the male boss she alleges harassed her, and Uber’s culture. The third was from a woman who claimed her female boss made disparaging remarks about the tank-top she wore to work and harangued her in other ways. Then, on Friday, The New York Times’ Mike Issac, published a story about a secret program called “Greybill,” where Uber refuses service (and provides fake data) to people requesting rides if they suspect those people of being under cover law enforcement or working for competitors. All this comes on top of many other scandals over the years. The hashtag #DeleteUber went viral last month over Uber’s handling of the immigration protests and related taxi driver strike. There was outrage over its surge-pricing tactics. Even before that, there were allegations that Uber employees used a tool called “God View” to spy on customers’ activities (resulting in Uber paying a $US20,000 fine to settle an investigation). Plus, there was the scandal over an Uber exec’s offhand suggestion that the company should dig up dirt on the personal life of a female journalist who criticised the company. And there’s been ongoing complaints over the company’s treatment of its drivers, including an incident caught on video of Uber CEO Travis Kalanick arguing with a driver, which led to a public apology on Kalanick’s part. Now many of the people who make up the Valley’s engine — its engineers, programmers, and developers — have dubbed the company so toxic that they want their colleagues to stop working there and helping it. This is a serious concern for many developers. As we previously reported, programmers are routinely asked to do unethical and sometimes illegal things at all sorts of companies. There’s a movement under foot for developers to self-regulate to protect themselves. But short of that, their reputations as ethical and honorable people come in large part from their resumes. In Silicon Valley the “mission” that your company works on is as important to your career as the technical skills that you possess. A year or two ago, Uber was viewed as the quintessential example of how tech could change the world, and working there was a badge of honour. But the longer they stay, the more their own reputations could be impacted by the company’s public missteps. Still, here are a few pubic tweets of people pressuring Uber employees to quit. If you’re an engineer working at Uber, you better have a GREAT reason for why you haven’t started looking for a new job by now. The truth is: It’s probably TOO late to leave without a stain on your character. You should start thinking of rehabilitation. On the plus side the best engineer I’ve ever worked with is job hunting, was considering Uber, & now wouldn’t go near them w/ 10 foot poll..
@seldo a friend of mine has an Uber offer in hand and will pass on it, even though the pay is way above other offers.